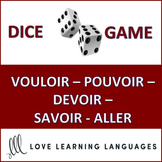 French Teaching Resources: Battleships/ Lotto Game: Pouvoir, Vouloir & Devoir. 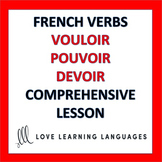 This handout presents pouvoir, vouloir, devoir, with 3 simple tenses. Gives sample French sentences. Also gives english translations. Crossword gives an infinitive and a subject as clues. 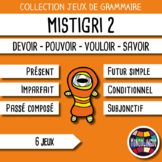 Answers are the present tense conjugations. 5 versions. 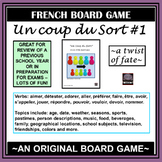 Crossword with hints in English (example: "I can" "he wants") using the verbs pouvoir, vouloir, devoir and voir. Contains 22 fill-ins. Have a little fun with this lesson plan! 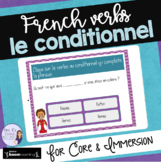 Introduce the verbs Show a video (link is included) Give students M&Ms and get them conjugating! Simple, yet fun. Enjoy! 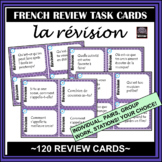 Review of the irregular verbs pouvoir, vouloir and devoir. This quiz can serve as a diagnostic for older students, or even a summative for younger grades once the verbs have been taught. Answer key included.